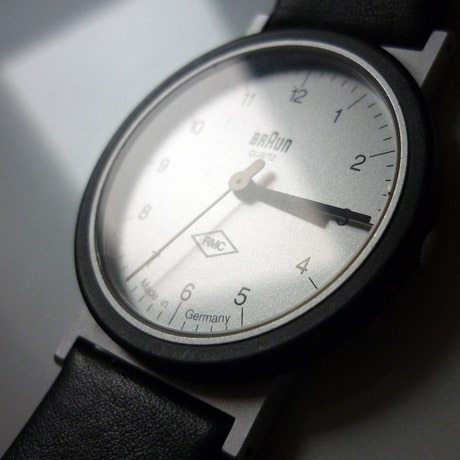 Spent the morning overhauling this beautiful Braun AW10 wristwatch. 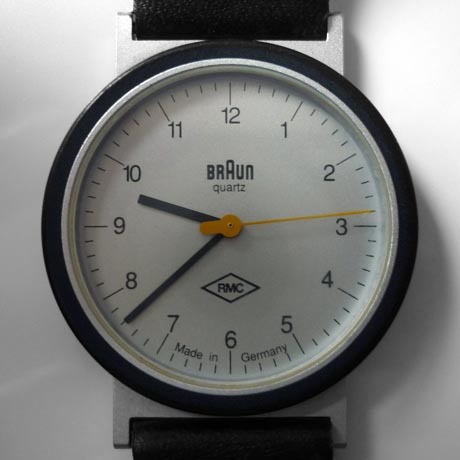 It was designed for Braun by Dietrich Lubs in 1989, and demonstrates the functionalist design ethos that also created the iconic Braun alarm clock. It needed a clean and a new battery, but I also noticed that the bright yellow second hand was misaligned, so that it never lined up with the marks on the dial as it ticked. Such sloppiness was contrary to the precision of the original design so I stripped it down, removed the mechanism and realigned the hands. 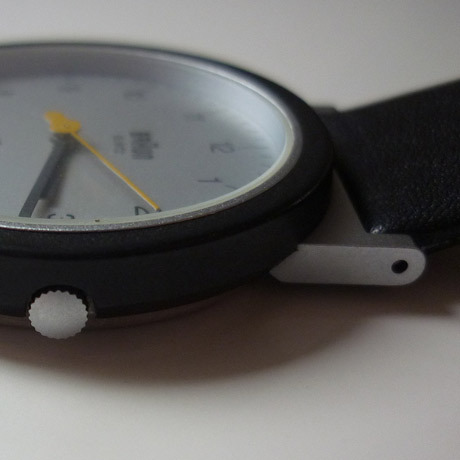 Once the anodised aluminium Braun-branded buckle was detached and transferred to the new strap, it was better than new.